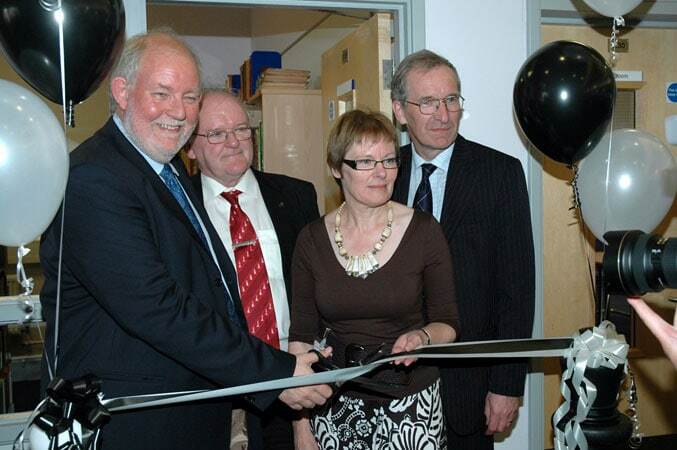 The National Chess Library, the third largest public chess library in the world, was officially opened yesterday at the University Centre Hastings by former Home Secretary, Charles Clarke MP. 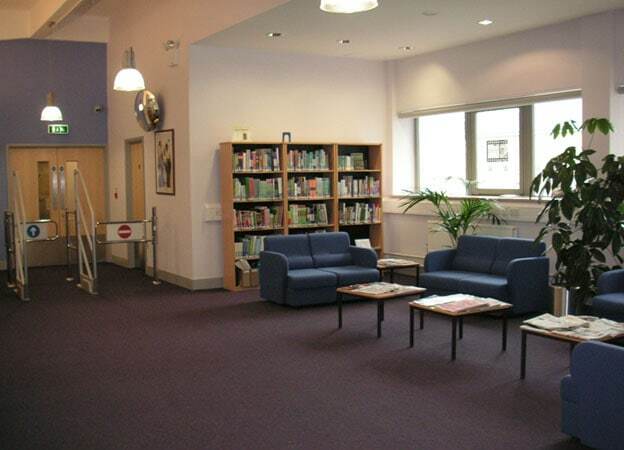 The English Chess Federation library now has a permanent home in Hastings, a town with a long association with the game of chess and home to the annual Hastings International Chess Congress. 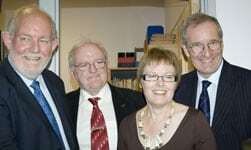 His father, Sir Richard Clarke, was the first donor to the English Chess Federation library, which now contains over 7,000 books, journals and tournament information from five collections. This includes the collection of Harry Golombek, the ‘grand old man of chess’ who was chess editor of the Times and an Enigma code breaker in World War II. 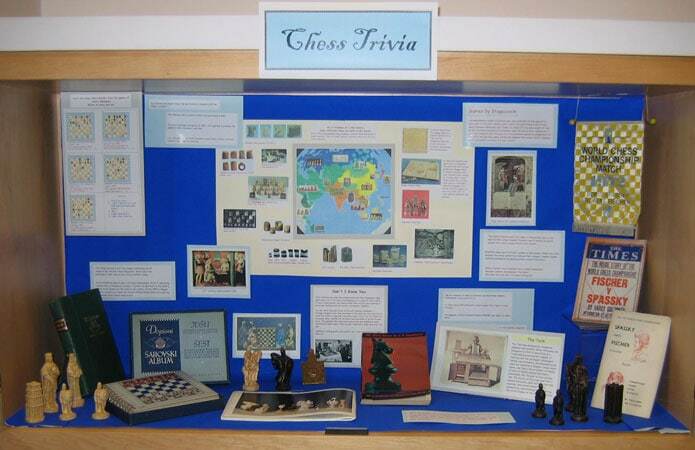 The English Chess Federation collection is on open access shelves and may be visited at any time during the Learning Resource Centre opening hours. Visitors can contact the LRC on 01273 644640 or by email at askuch@brighton.ac.uk to make an appointment to visit the other collections. Photographs reproduced by kind permission from UCH. 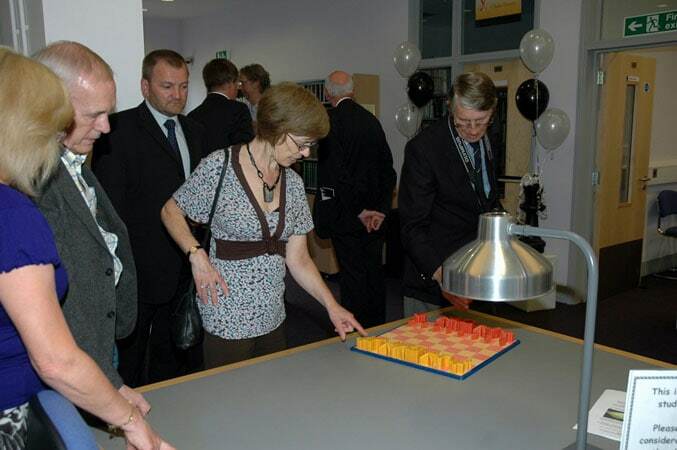 Tuesday 10th June 2008 saw the official opening of The National Chess Library at the University Centre Hastings. It was a very successful event for both the University Centre and the English Chess Federation. The event began with guests being greeted on arrival and served with light refreshments. Once assembled everyone made their way to the impressive lecture theatre of UCH for the opening speeches. 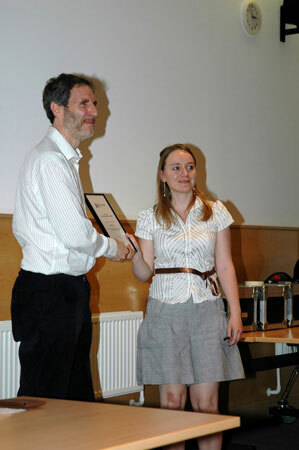 The welcome address was given by Professor Stuart Laing Pro-Vice-Chair of Brighton University, this included a presentation of an award to Frances Warrell a student of UCH from Special Library Association for her dissertation on the Chess Library (click here to read an abstract). 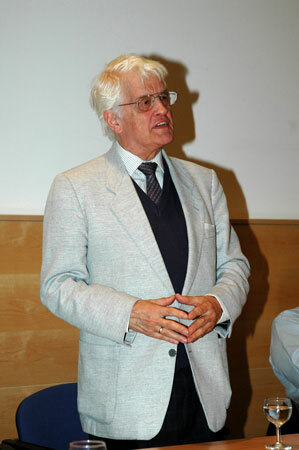 Professor Laing was followed by Gerry Walsh ECF President who spoke on the History of the Library and also introduced an honoured guest Lothar Schmid German Grand Master and renowned collector of chess books (possibly the largest private collection worldwide) who had flown in from Germany especially to attend the opening of the library. Lothar Schmid gave a warm congratulatory speech which included some banter between himself and his great chess friend much venerated International Master Bob Wade who was in the audience. 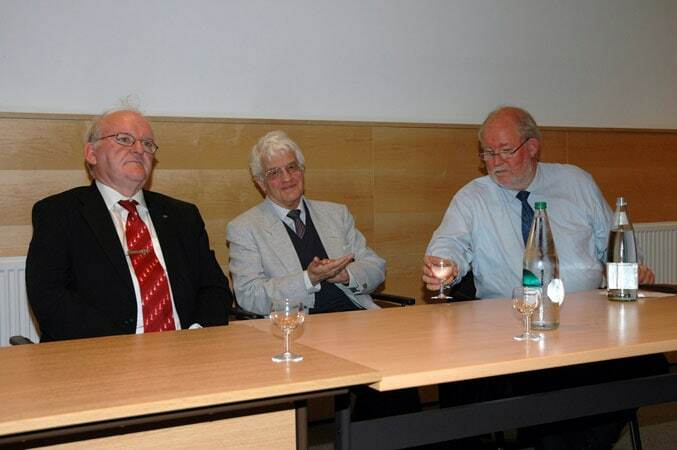 Finally Charles Clarke MP former Home Secretary spoke about his father Sir Richard Clarke (renowned statistician and inventor of the BCF/ECF grading system) and his collection. Charles Clarke reminisced on the impact that his father’s dedication to chess and it’s grading system made on his childhood. After the speeches all those attending made their way to the library itself where Charles Clarke performed the cutting of the black and white ribbon, after which guests were free to wander, browse and look at the displays featuring trophies from past glories and varied chess memorabilia including the Bratby portrait of Harry Golombek, then to partake of the delicious champagne buffet provided by UCH. This was a landmark occasion in the history of chess and the best way to secure the future of the library is to invest in its continued growth. I appeal to everyone who can help to do so by donating their own collection of chess books to the National Library. This can be done by individual donations of duplicates, if you are downsizing or by legacy. As reported elsewhere below The National Chess Library had an open day on the 4th January, this was especially organised to coincide with the Hastings International Tournament to enable chess players to have a glimpse of this fine library and its new surrounds. Tea and biscuits and a finger buffet were provided by the University of Brighton at the Hastings site. 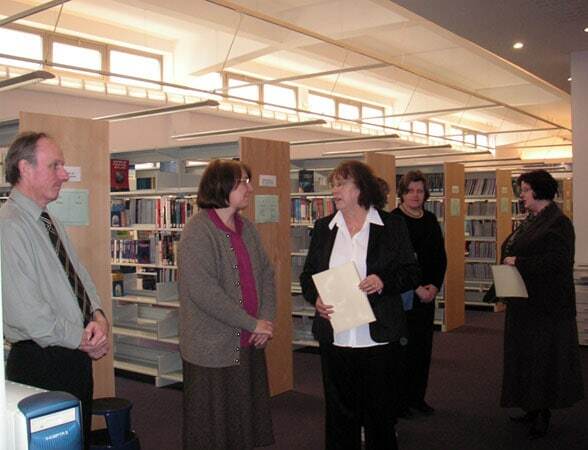 The open day had 35 visitors which was very gratifying to the library staff who worked until 8 o’clock. A success all round. The official opening will be announced very soon. 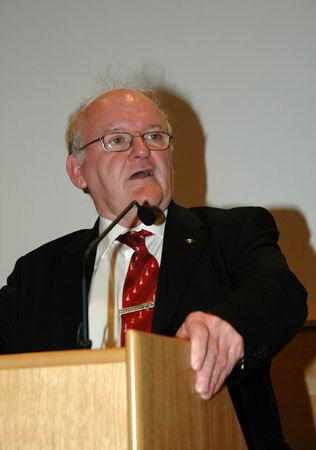 It is hoped that Charles Clarke MP, former Home Secretary, will do the honours as his father’s (Sir Richard Clarke) collection of chess books form a major part of the library. The BCF and now the ECF has been collecting chess books for many years. 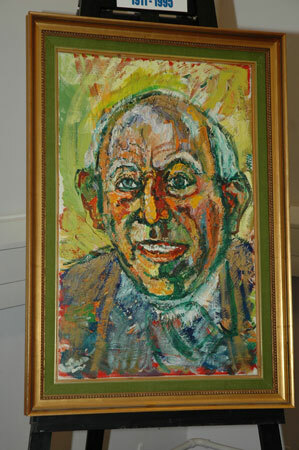 Some came via bequests such as from Sir Richard Clarke, George Diggle and particularly Harry Golombek. 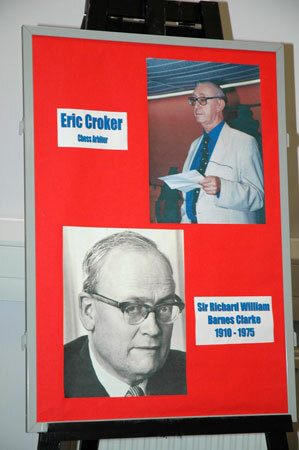 Others have been provided by people still with us such as Eric Croker. First the books were housed at the BCF Office in Hastings. Then the University of Kent took charge of them, where they remained somewhat forlornly in boxes for many years. One of the many pleasant events at the Hastings Congress was the open day of the chess library at Brighton University in Hastings. It was a joy to see so many shelves in a professional library devoted to the greatest game. There were many treasures on display and some were immediately locked away safely. But who knew of Eric Croker’s meticulously preserved press cuttings? I took the opportunity of adding to the service over 70 DVDs of English language chess on TV or film. If you have any books, magazines or bulletins you would like to present, well you now know they will have found a good home. 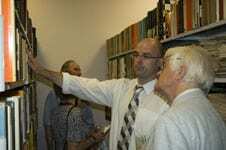 The library has yet to be completely catalogued and not all the material is on display yet. But this is a dream come true and the university is extremely enthusiastic about the whole project. We can expect to see further additions and other events such as chess tournaments, lectures or seminars. 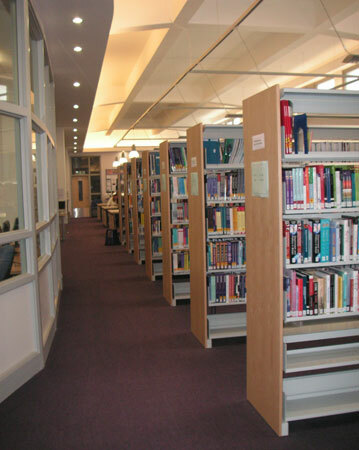 Some of the books have sadly spent approximately 20 years packed up in boxes in various locations waiting for a home, but they are now all unpacked and on shelves in the LRC. 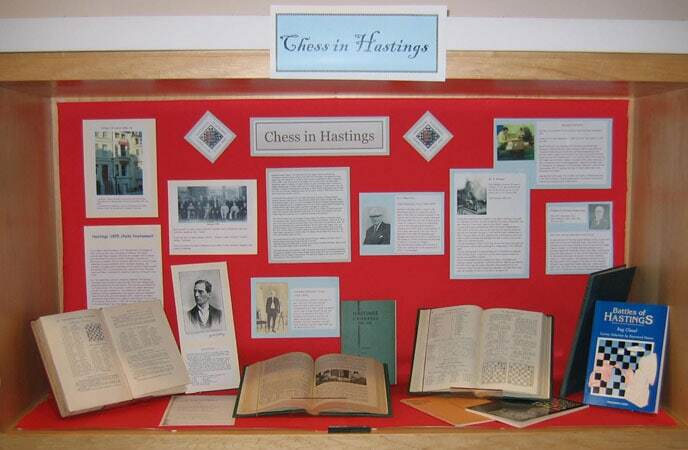 The press release said “The National Chess Library comes home to Hastings” and it is entirely appropriate that it is housed here, as the Hastings International Chess Congress takes place here every year, and there is a thriving Chess Club. The English Chess Federation offices are also nearby in Battle. 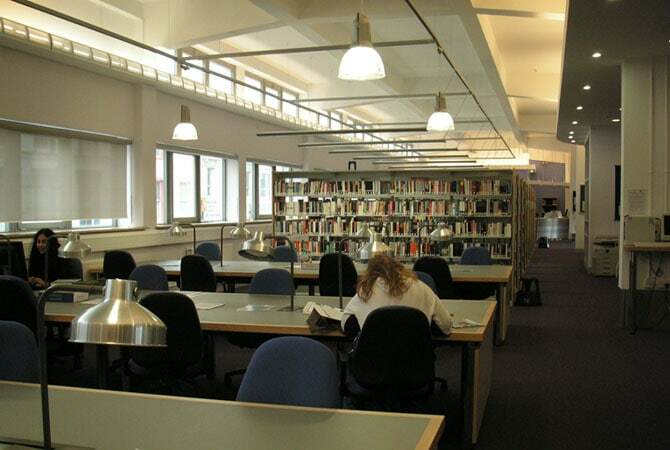 The collections given by individuals are kept in a locked room in the LRC, but the English Chess Federation collection is out on the open shelves. 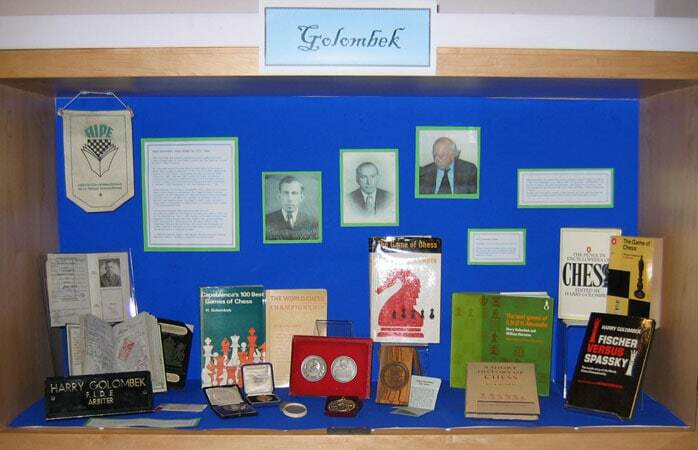 There is also memorabilia from the individuals who have donated their collections, e.g. 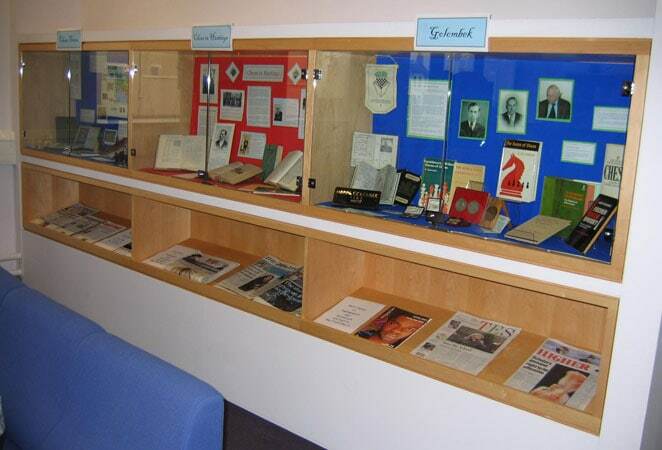 Harry Golombek, a famous Chess Grand Master, Bletchley Park code-breaker, author of books on Chess, and Chess editor for the Times – and some of this is on display in the LRC. Although as yet un-catalogued, the Grand Opening of the National Chess Library will be held very soon, and the ECF and the LRC have already been inundated with enquiries from all over the world about how and when the books can be accessed. It’s anticipated that after the Grand Opening, visitors can ring and book an appointment to see the collection, however to coincide with this year’s International Congress, we held an Open Day on Thursday January 4th so that interested people could visit and view the collections. Although many people were involved in the tournaments up at Horntye Park, we had plenty of visitors during the day and in the evening, and without exception all were very interested, enthusiastic and impressed. Refreshments were provided, and we got to meet and talk to lots of people. Many had ideas on ways we could develop, and there was good advice on the importance and value of many of the books. We hope this important collection will inspire interest and attract many visitors to UCH in the future. We expect more donations and new books published on the subject to be added to the collection, so the National Chess Library will certainly grow – where will we put it all?!!! 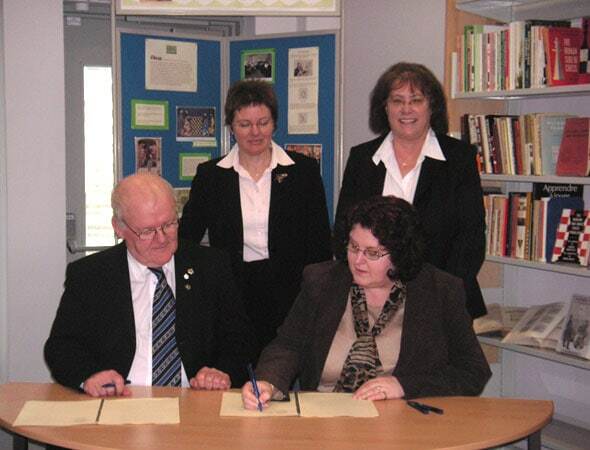 On Tuesday 21st March 2006 contracts were signed between Brighton University and English Chess Federation to house the National Chess Library in University Centre Hastings. Representing the University were Margaret Wallis Head of Co-ordination and Development and Sarah Eatwell Information Services Manager, signing for English Chess Federation were President Gerry Walsh and Manager Cynthia Gurney. The National Chess Library has spent almost 20 years packed in boxes awaiting a permanent home, and what a magnificent home it now has. 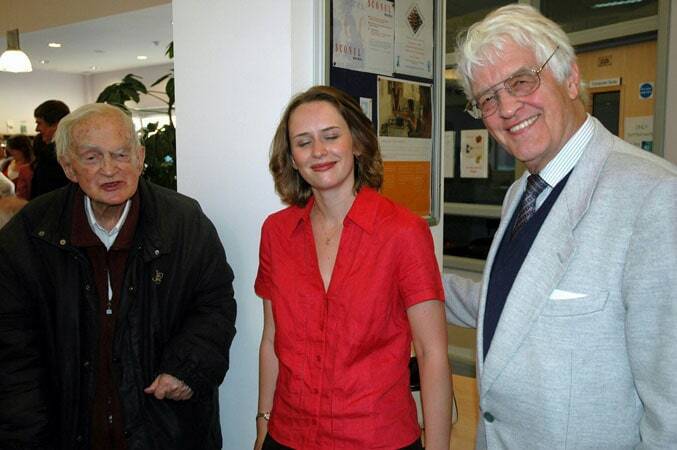 The first donation of books was the collection of the late Sir Richard Clarke the renowned statistician and father of our Home Secretary Charles Clarke. This was followed by a collection from the late Harry Golombek the Grand Old Man of Chess who was code breaker from Bletchley park days. Other collections followed building a library of approximately 6,000 books. Once the collection has been catalogued there will be an official opening after which there will be access for the public. Hastings is widely regarded as the Home of Chess in England. The British Chess Federation was founded on 7th May 1904 (changed it’s name to English Chess Federation 2005) the first treasurer was H.E. Dobell from Hastings, the Hastings International Congress is in its 82nd year and the Hastings and St Leonards Chess Club, one of the most active in the country, has its premises in Cornwallis Gardens. The British Chess Federation moved to St Leonards in 1980 and now has offices in Battle. 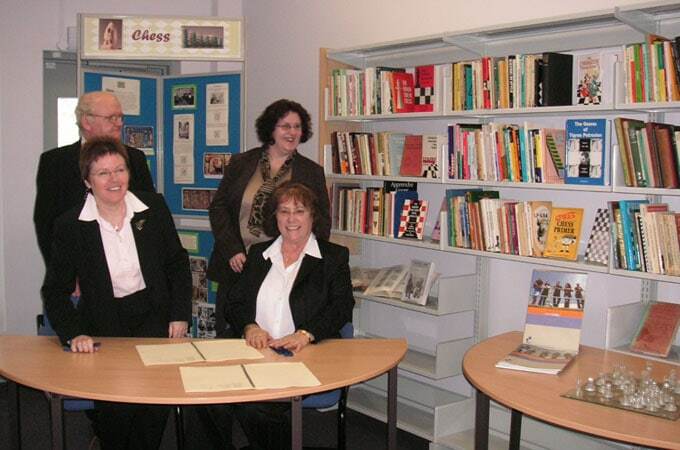 I was delighted to learn that the University Centre Hastings and the English Chess Federation have reached agreement for the housing of the National Chess Library. It is wholly appropriate that this important collection should be housed in Hastings given the status of the Hastings International Congress and the importance of Chess in this town. I also think it important in that the University Centre Hastings is about the future of our local community and will also therefore send out a message that chess is not just an historic “past time” but is both contemporary and has a future too. Be the first to comment on "National Chess Library"